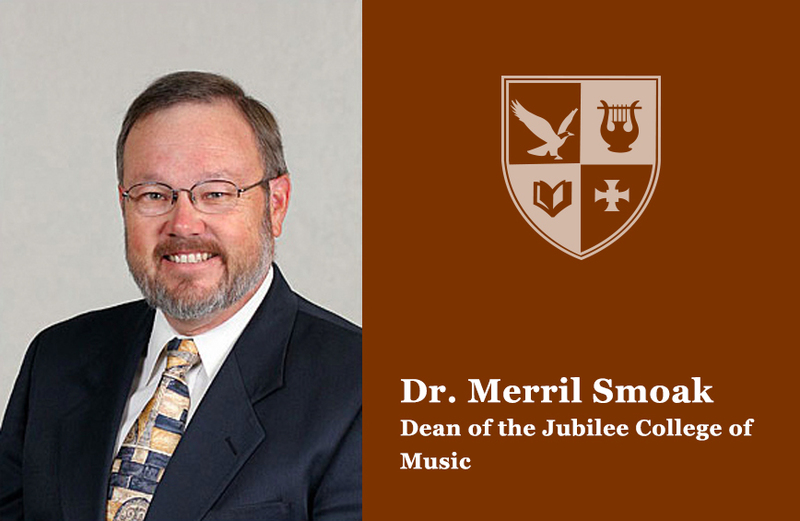 Dr. Merril Smoak, Dean of the Jubilee College of Music, has joined the Doctoral Council of Olivet University's Zinzendorf School of Doctoral Studies. The ten-member council led by dean and chairman Dr. Don Tinder guides and oversees the Zinzendorf School's two degree programs, Doctor of Ministry and Doctor of Philosophy. Dr. Smoak has been the Dean of the Jubilee College of Music since 2005. He received the Doctor of Worship Studies degree from the Robert E. Webber Institute of Worship Studies in 2002. His DWS degree project was entitled Identifying Contemporary Praise and Worship Songs for Use During the Church Year at Trinity Baptist Church, Livermore, CA. In April 2017, he completed 39 years of ministry experience as Trinity Baptist Church's Associate Pastor of Music & Worship in Livermore, CA. His years of teaching and ministry experience will particularly help the Zinzendorf School of Doctoral Studies to continue to develop its D.Min. degree program. Within the context of Olivet University's mission, the Zinzendorf D.Min. degree has a threefold program objective: • Achieve the highest level of theological and practical knowledge in a chosen field or enhance their effectiveness in a chosen ministry field. • Contribute meaningful research and project to a chosen field. • Become a model of Christ-like living in word and deed. Concerning the D.Min. degree, Dr. Smoak said, "Students desiring to earn a DMin degree must internalize and understand the meaning of Ephesians 4:11-12 into their life and ministry: 'And he (Jesus) gave the apostles, the prophets, the evangelists, the pastors and teachers, to equip the saints for the work of ministry, for building up the body of Christ.' The key phrase here is 'to equip the saints for the work of ministry.' The D.Min. degree enables you to become a better equipper and leader in your chosen field of ministry. This will enhance your effectiveness and longevity in your ministry sphere. D.Min. studies also helps Christians leaders re-examine their ministry potential in light of scripture and new innovations in their chosen ministry field." At the November 5-9, 2018 Doctoral Seminars week that will be held in the new Olivet University San Francisco campus in Mill Valley, CA, Dr. Smoak will be leading an elective seminar entitled "From Despair to Praise: A Study in the Psalms."